This is about as inspiring and hopeful as it gets. In another world @awallenstein could have been Macklemore. “Same Love” is off the 2012 album “The Heist." Macklemore & Ryan Lewis moved a lot of people past judgment and into acceptance with this hit. Which, hooray for that. And them. 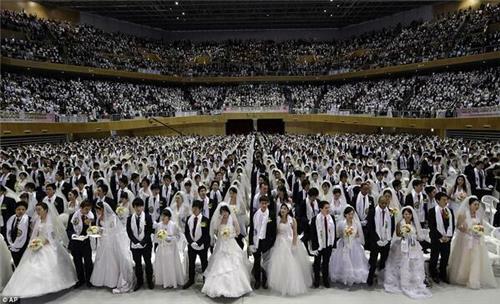 Look what’s taking place in the Staples Center aisles: It’s a mass wedding! Queen Latifah is officiating. Is she a minister? A justice of the peace? Or are queens automatically sanctioned to marry people just because they’re queens? Fans show lots of love for "Same Love"
Same Love is the cut. It gives me pride, and I ain't even gay. 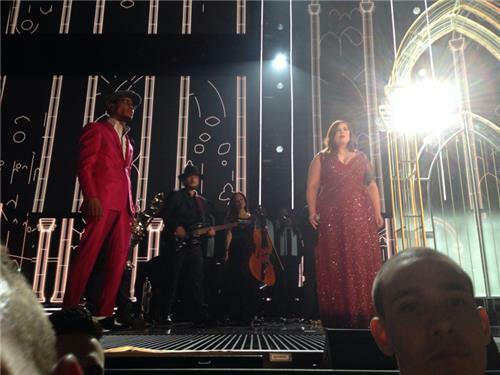 I think the girl singing with Macklemore has the prettiest voice ever though tbh. 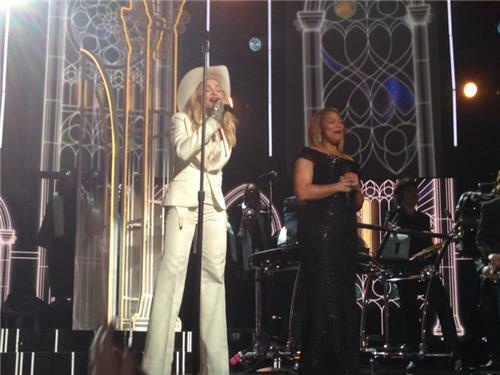 Madonna’s here to sing her blessings -- hearts are opening. A lot of joy on this stage-turned-altar right now. 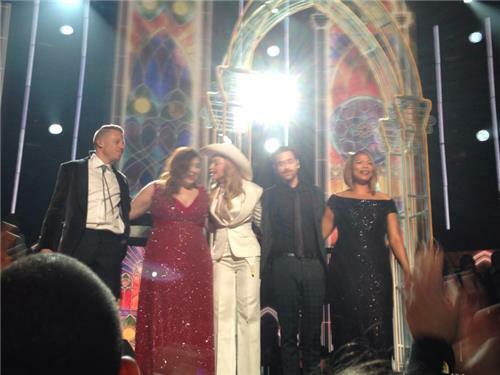 This, everybody, is a GRAMMY moment to remember. 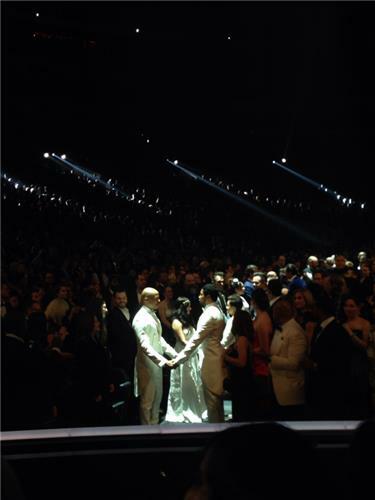 Good on the Grammys for the group wedding. MTV wishes they thought of it, and the Oscars never would have done it. 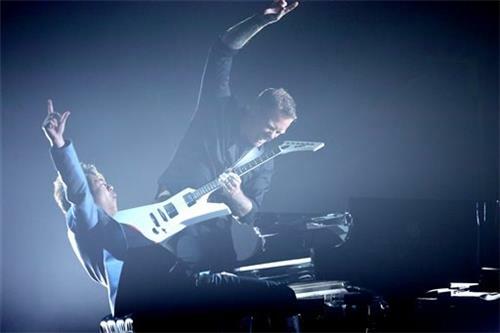 It’s not just a GRAMMY moment to remember, actually. It’s even bigger than that. It’s TV moment to remember, something we’ll likely be talking about years from now. Here’s a belated shout-out to Trombone Shorty, too, doing brass players everywhere proud. The guy can blow. Good that there’s a commercial break, because I think we all need a minute to recover after all those nuptials. Macklemore & Ryan Lewis and Madonna get my vote for coolest wedding singers ever. 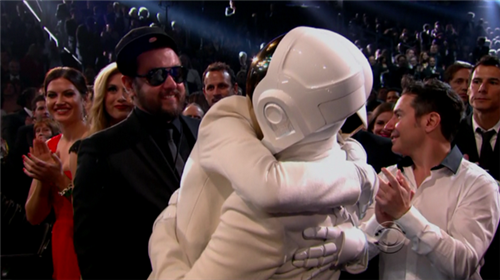 The winner for Record Of The Year is "Get Lucky" by Daft Punk, Pharrell Williams and Nile Rodgers! "... then I got sober and two robots called me and asked me to make an album." Hilarious!